A colourful arrangement of lilies, roses, Germini and Gypsum giving this bouquet that special touch. &apos;Tosca&apos; is highlighted with exotic pal leaves and is lovingly arranged by our experienced florists. 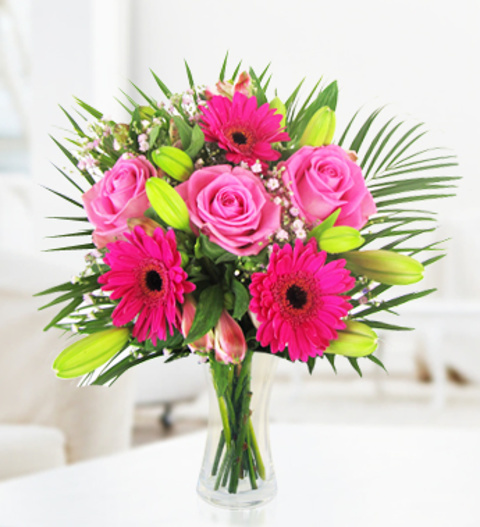 This bouquet is perfect for all occasions and is available for UK next day delivery.